Unique and experienced agile project management. Supercharge your team with focused, story-based collaboration. Quick agile adoption with a proven process. 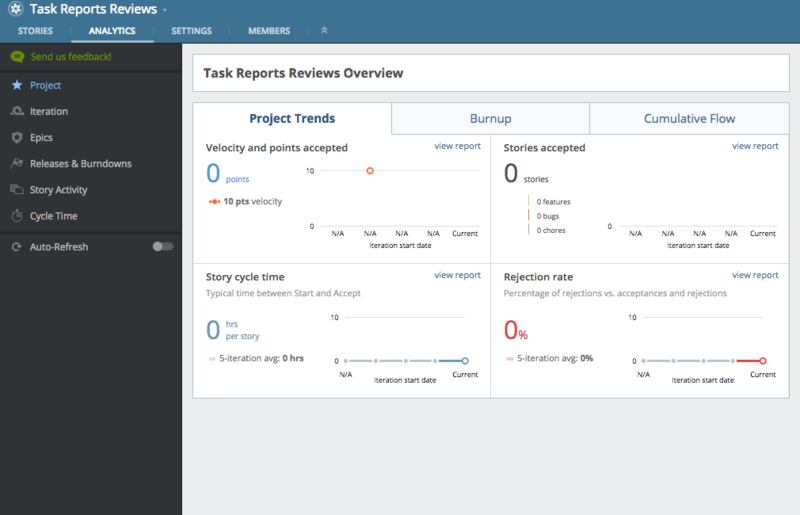 Pivotal Tracker is easy to use agile project management that assists in focused collaboration for software development teams. 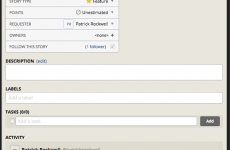 Every user shares the same knowledge base within a project enabling complete transparency. This allows users to proceed with work without having to constantly be reporting their progress, and team managers are able to easily assess the progress within their project. 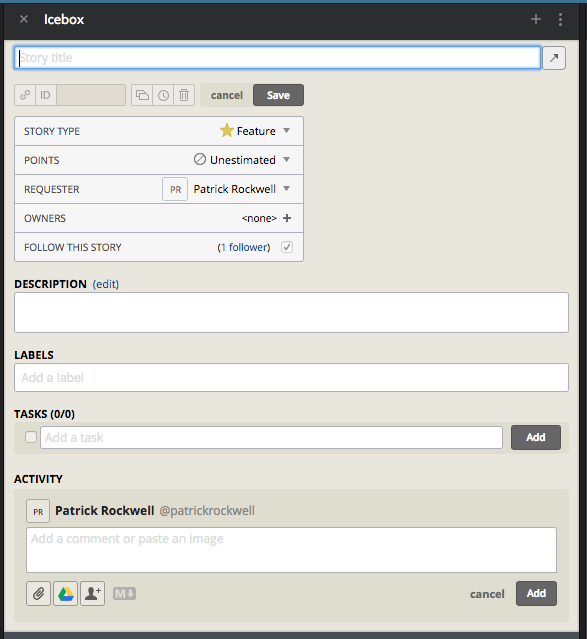 Pivotal Tracker brings the enhanced communication of Clarizen and the functionality of Teamwork. If you are an agile software developer, you are likely to fall in love with the efficiency, simplicity, and user-friendliness of this app. For the rest of the world, this application does not offer as many perks as some of their competitors. I suggest taking a look at one of our top apps if you are not in the agile project management industry. When you are first brought into the Pivotal Tracker workspace, you are provided with the option to create a new project or see a sample project. I always suggest choosing the sample project so you can get a feel for how the tool will look when it’s in full swing. You will then be shown the “most-used” areas in your space. After this, we suggest exploring around to see if their unique setup would benefit your team. 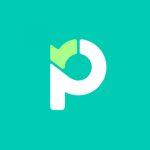 Standout features offered by Pivotal Tracker include a universal overview which allows everyone in the team to see a “managerial” perspective on the project, the open API is a welcome sight to most developers who will be spending the majority of their day using this software, and workflows that are optimized for estimating time to completion for all tasks and projects. Pivotal Tracker can be used by large enterprise companies, but the tool is optimized for smaller groups within an organization. Project specific groups to be exact. 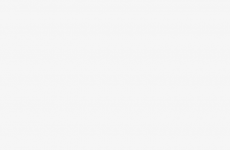 This is reflected on their pricing page which is a bit different. See the pricing page below or at PivotalTracker.com. Pivotal Tracker is the tool of choice for many software companies that utilize the Agile project management structure, however, if you are looking for a more comprehensive tool, you'll want to check out other options first. 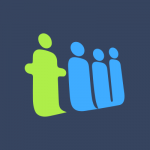 This app is highly specialized and utilizes unique terminology that most teams will not be familiar with. I honestly don’t know what I would do without Tracker because no other tool feels like it moves at the speed with which we move, or tightness of coordination. Our goal is to have the cloud seamless and transparent – so our customers, employees and IT team don’t have to care about the technology underlying delivery of the service. I love Pivotal. Our development team was hesitant to adopt a brand new program like this, but we are so glad we did. Highly recommended for software companies! I have a team of 5 that needs a simple, easy to use tool. Any suggestions? they’ve made agile development perfect! At the end of the day, this is a strong tool if you are looking for a tool that everyone on your team can use. + PROS: PT has the features needed to get the job done. They are a strong competitor in this space and will be around for a while. - CONS: No large issues here just things I think they could easily improve. For example, the UI could use some reworking. I also think they could add a few more features but nothing major. Agreed. Great scrum/sprint management, however, my team is looking for a more hybrid or flexible methodology. 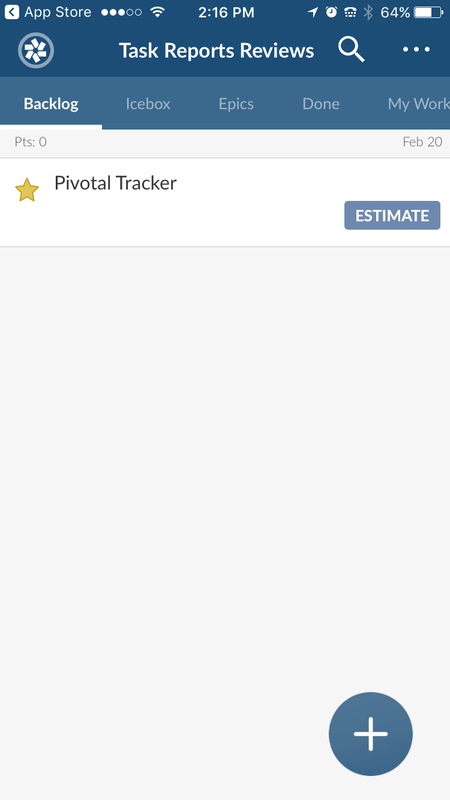 Pivotal Tracker has great features, however, I’m not too impressed by the UI. The screen can get crowded and extremely cluttered. We’re not a software company and this tool just seems too convoluted for us right now. Currently on here looking for a more easy to use customizable tool. + PROS: Easy to use, intuitive,offers a wide range of functionality. 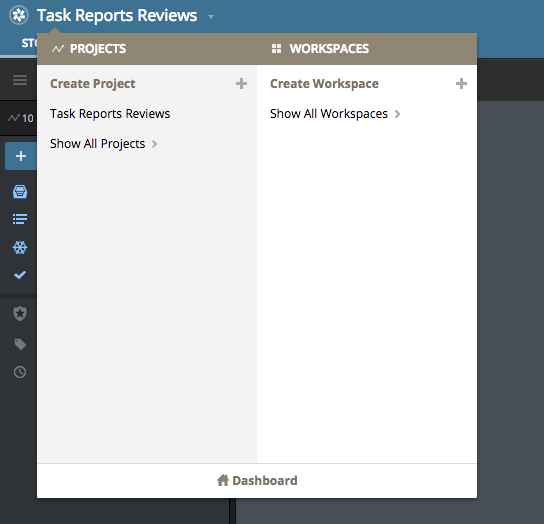 You can easily assign tasks to different team members, and see who is responsible for which tasks at a glance. - CONS: Based around the agile methodology, so their prebuilt workflows have a lot of assumptions about how your team will be operating. Would like this tool to have a little more customization options. A great software for developers..other team members don’t like to use it. + PROS: Great for tickets to team mates, tagging them in notes so they get a notification, and the approval process. - CONS: Works best if you stick to a specific method of agile project management. 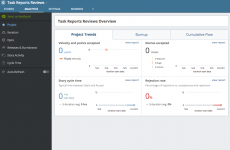 We use pivotal tracker to handle development and design sprints at our web software startup. - CONS: Pivotal tracker has a really cluttered UI, which can be very distracting if you have a large number of items or team members. Having visibility into which task is next in the queue and easily adjusting task priority when demands change is really helpful. It’s collaboration features are strong, its assignment tracking is very strong, and its reports are pretty good. + PROS: Assigning tickets to team mates, tagging them in notes so they get a notification, and the approval process. - CONS: Its a bit clunky with lots of tabs open. Some light UX simplification could help. Also more markdown options ( or a bit clearer docs ) on how to write more formatted descriptions for stories & comments. Great value for the cost! Having visibility into which task is next in the queue and easily adjusting task priority when demands change is really helpful. 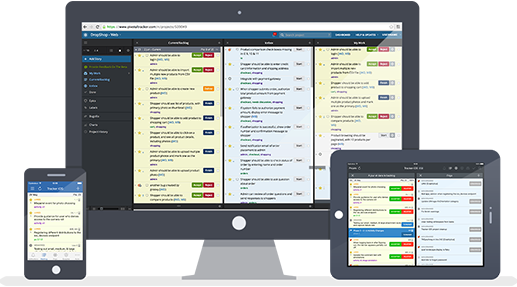 The description and comment sections are great to keep topics and discussions related to specific tasks all in one place. Being able to use markdown to format text is also really helpful and provides a lot of flexibility.For smaller teams and projects, the point estimate feature and much of the in-depth analytics hasn’t been that helpful for us in terms of making actionable decisions. With that said, for the right project and for large teams with many collaborators, I can see how these tools could be useful. 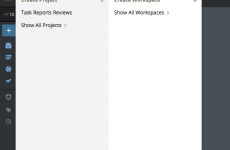 + PROS: Allows project managers, developers and clients to be at one place and see the overview of a project. - CONS: Tons of information all in one screen. It could be very intimidating too look at if you're new to the software so a little getting used too is needed. Try it out and make sure that your desired development workflow meshes with what PT does. Epics are clearly an afterthought and a second-class citizen in the world of Pivotal Tracker. If you’re not trying to use those as a primary entity, all good. If you are, you’ll be a little annoyed. + PROS: I liked that the contents of the dashboard is customizable for every member of the team who all had different roles. 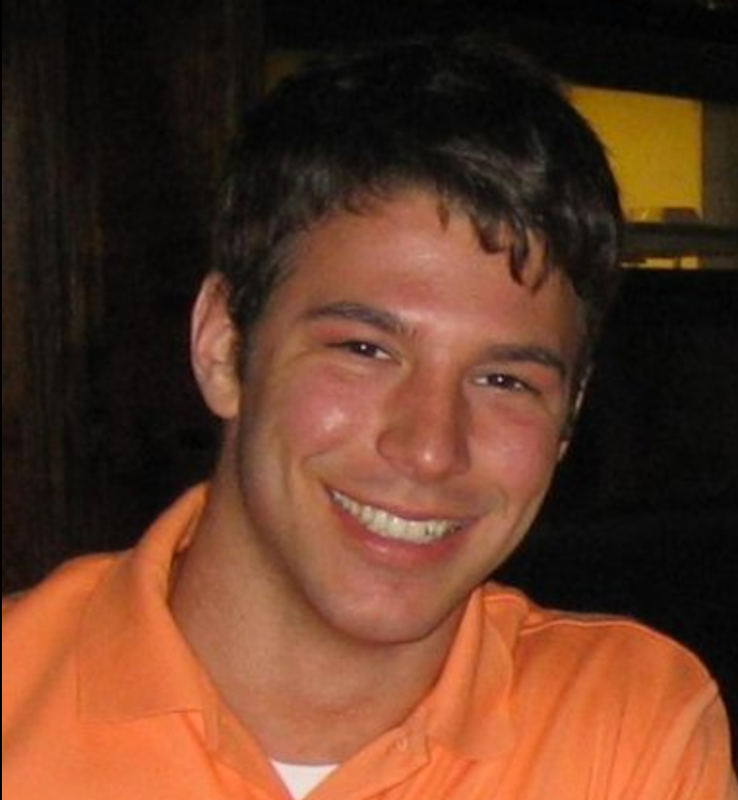 For instance, as a web developer I constantly kept my eyes on "My Work", "Current", and "BackLog" as I liked to track my tasks as well as what others in the team had in progress. - CONS: For a larger team I feel that it would be difficult to keep the dashboard maintain the nice clean look.